Mumbai Sep 16 (IANS) Singer-composer Kailash Kher has praised Central Board of Film Certification (CBFC) chief and lyricist Prasoon Joshi calling him the "best human being". He said that his association with Joshi on the Swachh Bharat anthem was a milestone. 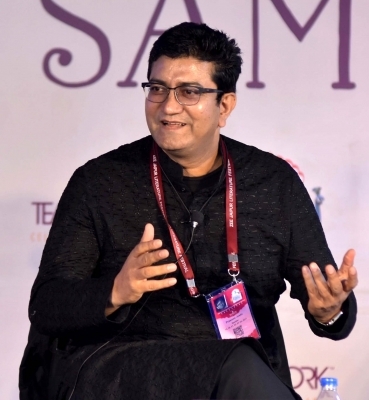 Kailash also wished Joshi on his 47th birthday on Sunday and wrote: "Today is the happy birthday of writer thinker philosopher to top it all best human being in the field of art in this era Padma Shri Prasoon Joshi. "My association with him on Swachh Bharat anthem Aadi yogi and many more are milestones wish him best of everything." The "Teri deewani" singer also shared a string of candid photographs of himself along with Joshi on the micro-blogging website.